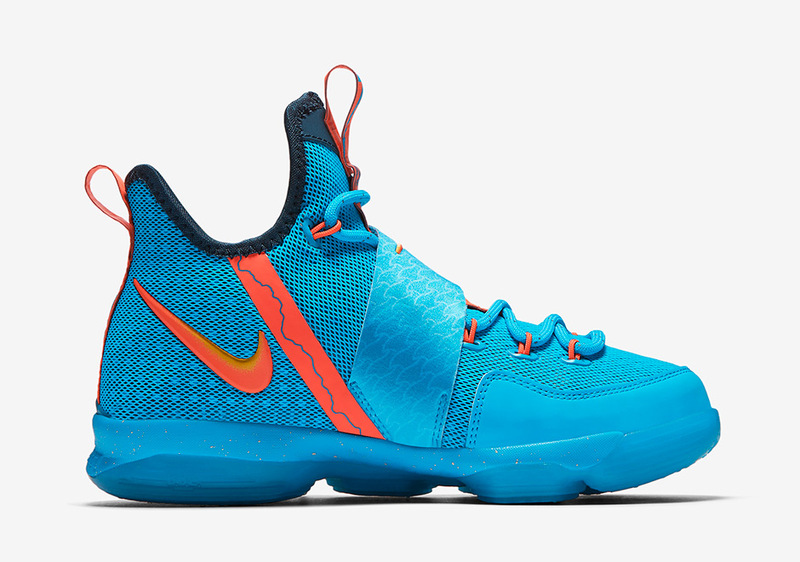 Nike Basketball has been releasing a number of grade school exclusive LeBron 14 colorways throughout summer. 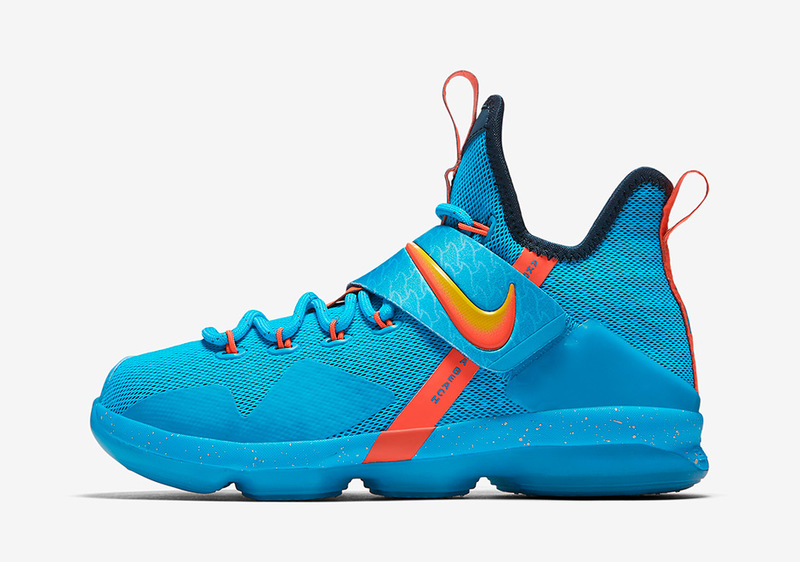 After the debut of three WWE-inspired LeBron 14 options, the Swoosh will follow that up with a vibrant pair inspired by the first time LeBron saw the ocean on an AAU basketball trip with his childhood team growing up. 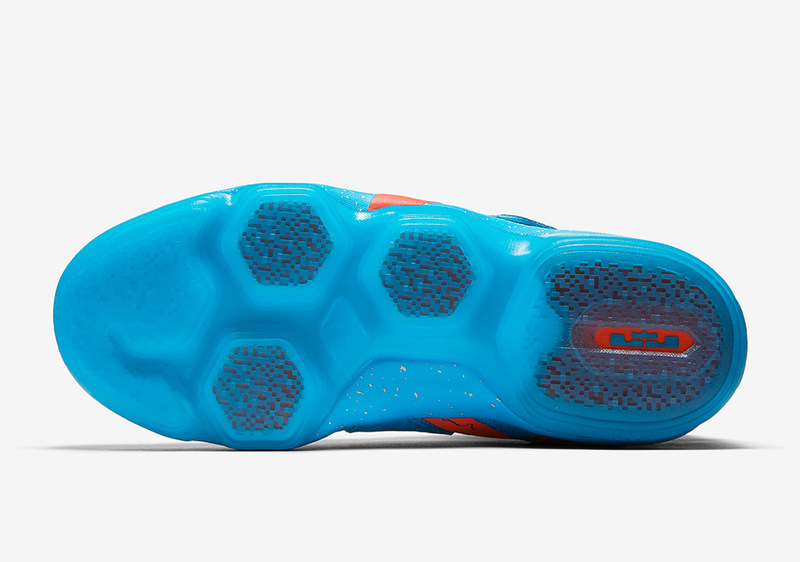 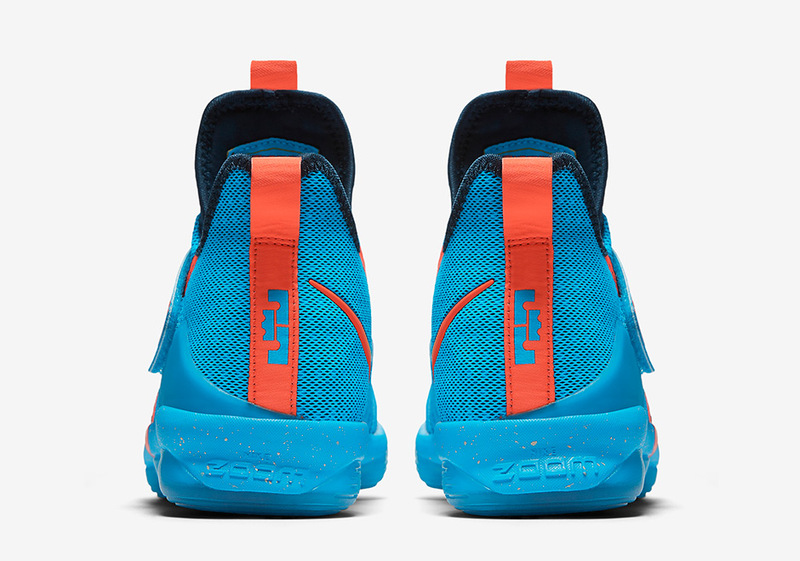 The Nike LeBron 14 Cocoa Beach tells the story of the Florida town where a young LeBron first saw the ocean with teammates from Akron thanks to a bright Blue Lagoon and Squadron Blue upper paired with Tour Yellow and Bright Crimson accents on the Swoosh branding and heel tab. 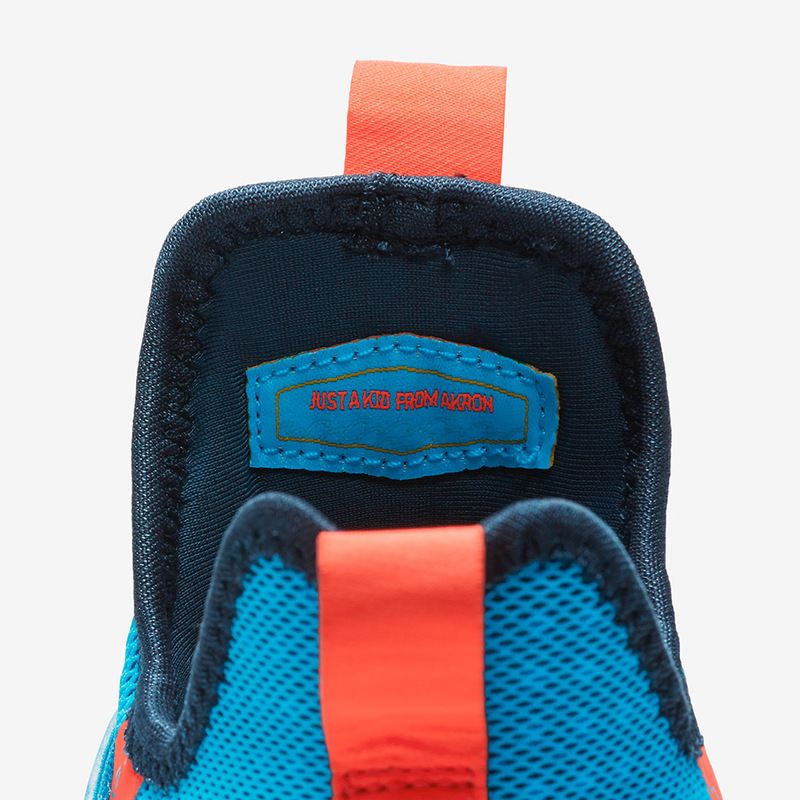 ‘Cocoa Beach’ callouts hit the side panel stripe while a unique insole shows a map of the small beach town. 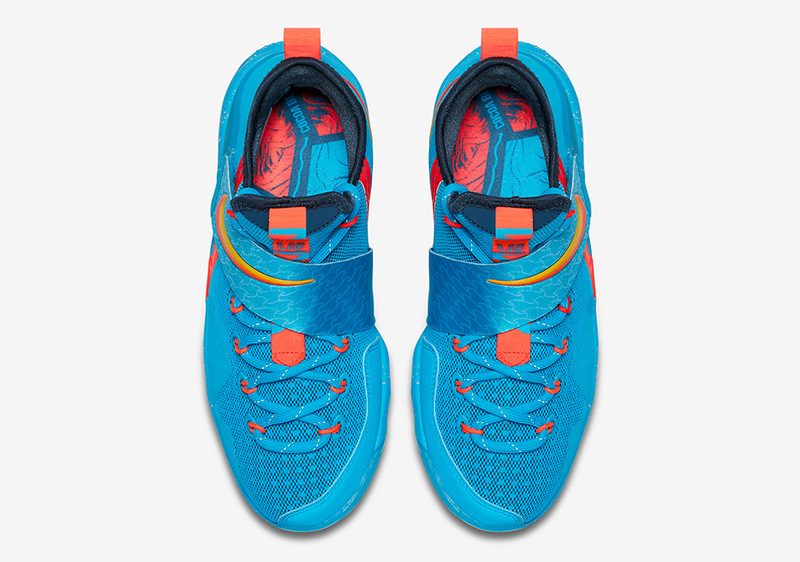 You can grab your pair this Saturday, August 12th for $140 USD. 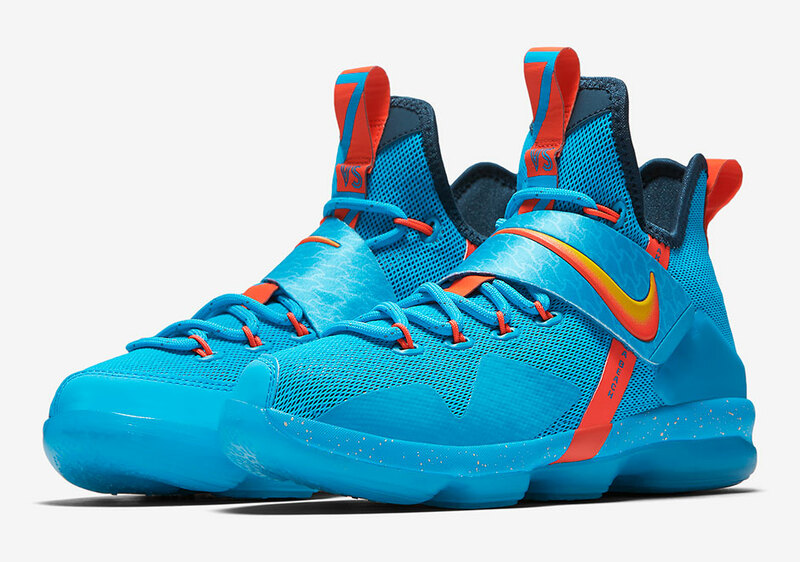 Check out more detailed photos of the coming kids-exclusive LeBron 14 colorway below and head over to our Release Dates page for more of the latest and greatest from Nike Basketball.